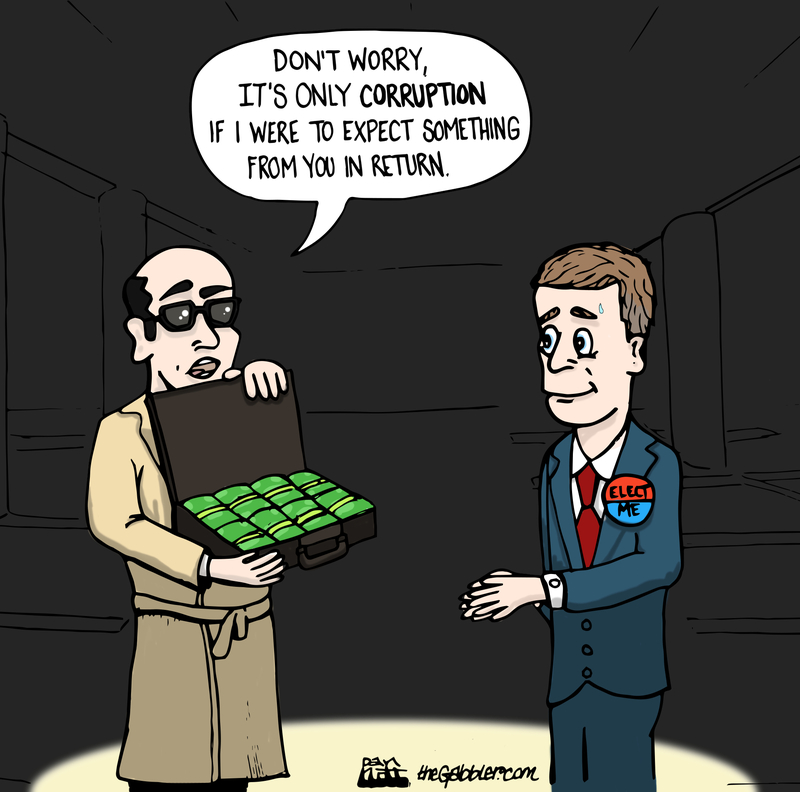 One of the most significant arguments contained in Supreme Court’s recent decisions on campaign finance is the narrow definition of corruption. Chief Justice John Roberts writes that the Court can only concern itself with “quid pro quo” corruption. 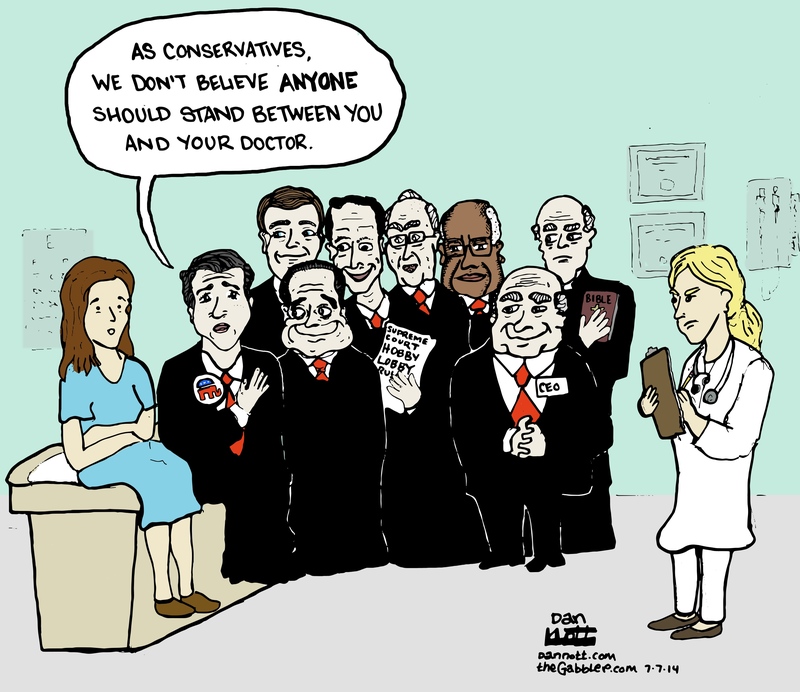 While he doesn’t define exactly what it is, he makes clear that their definition doesn’t include buying influence, access or ingratiation, and doesn’t consider the possibility of any privileged treatment or “return on investment” as a result. 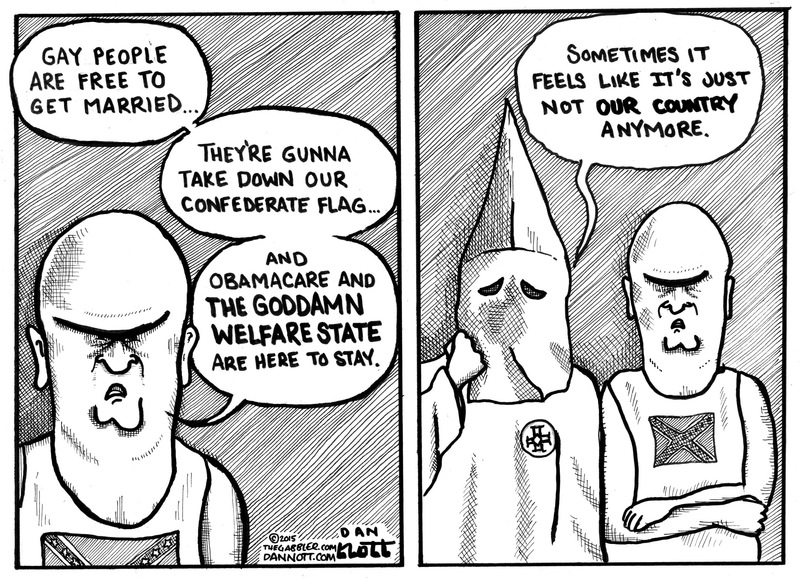 Last week’s cartoon was also on the recent Supreme Court decision. 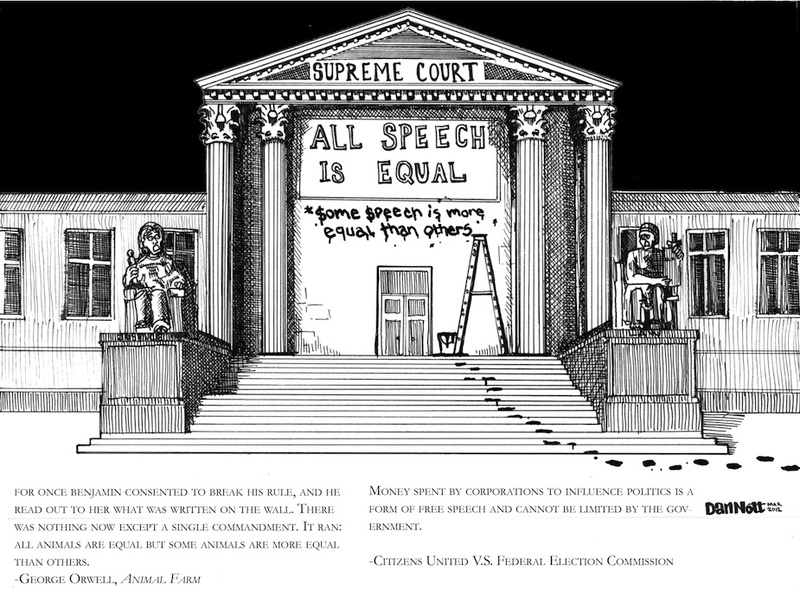 No editorial cartoon today (though I did do an illustration for a Black Friday piece at the Gabbler), so I thought I would post this illustration that was commissioned by Ryan Webler, a former classmate of mine and expert on judicial politics who started the UMass Political Science review last year. 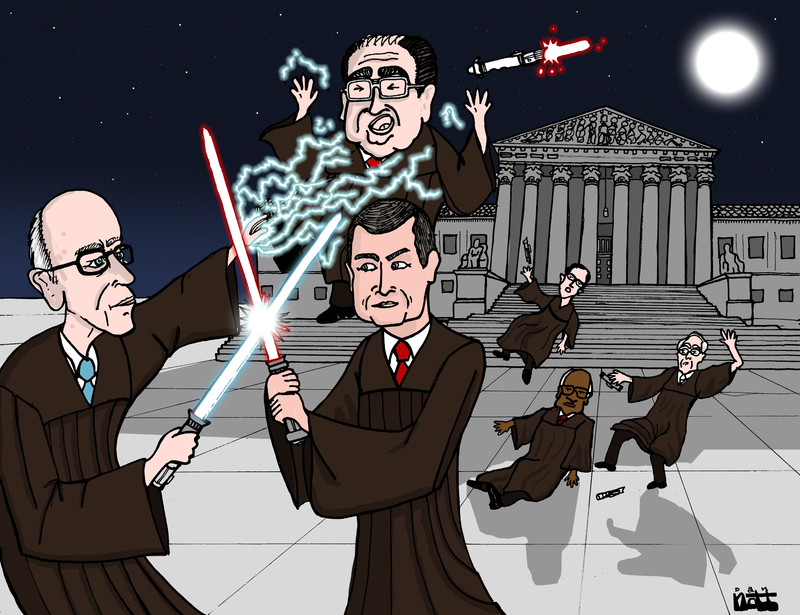 I enthusiastically greeted any opportunity that would allow me to learn more about judicial politics and draw Justice Scalia being electrocuted. I recommend this article if you’re interested in learning more about Posner’s criticism of the Roberts Supreme Court.